Rep. Darrell Issa, R-Vista, Tuesday released an initial draft of proposed legislation that would repeal and replace the Affordable Healthcare Act, as demonstrators on both sides rallied outside his North County office. “The Access to Insurance for All Americans Act” put forth by Issa would allow the public to buy in to the same insurance plans provided to federal employees and their families. He said his plan would give Americans access to affordable, high quality, privately-run health insurance plans that guarantee coverage for pre- existing conditions and allow for coverage for dependents until age 26. “I hear every day from constituents who’ve lost their health insurance plans or who’ve seen their costs rise because of `Obamacare,”‘ Issa said. “Yet, with repeal before us, I also hear from constituents who are worried about losing coverage for pre-existing conditions or who have been saved from financial hardship by the prohibition on lifetime caps. The plan I’m proposing frees us from Obamacare’s burdens, while focusing on what works, to create a simpler, patient-centered, market-based health care alternative that puts patients back in the driver’s seat of their health care,” he said. He said he encourages feedback so that a solution can be passed “that protects patients” and puts their needs first. Meanwhile, opponents of repeal who’ve been regularly demonstrating outside Issa’s office in Vista were met by a group of people who support Issa and President Donald Trump — and want Obamacare to go away. While they faced off and displayed signs, the two groups remained on opposite sides of the street from each other. Later, Issa came outside to answer questions from the demonstrators. “My hope is this morning we will find a way to bridge these two groups,” Issa said. Protester Linda Breen told CBS8 she was surprised that Issa came out to speak to them, but added it made sense because his supporters were there. 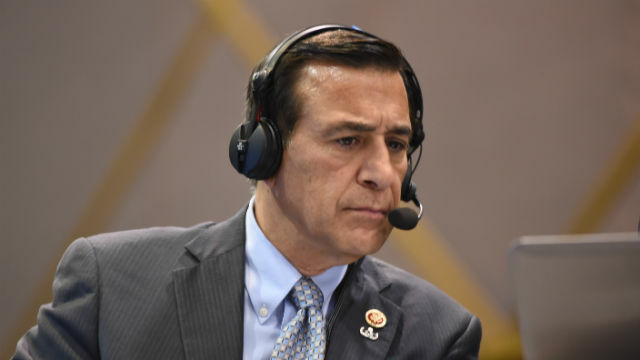 Breen said Issa’s refusal to attend a town hall meeting organized by repeal opponents that’s scheduled for Tuesday evening in Vista “made him look bad.” The meeting is set for 6 p.m. at the Jim Porter Recreation Center, 1200 Vale Terrace.